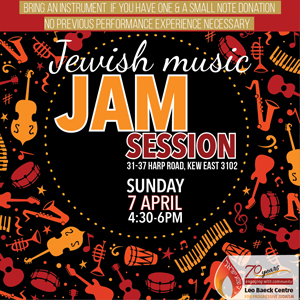 Enjoy Jewish and popular music at our monthly Jewish Jam Session. Bring an instrument if you have one or your singing voice or just listen, and also a small note donation. No previous performing experience needed and sheet music is always provided.